It's just a quickie post today as I'm back over on the Frilly and Funkie blog sharing the step x step of the journal cover I created for the Holiday Hues challenge. Here's a reminder but for all the details you'll need to hop over to Frilly and Funkie. that's gorgeous Sue - off for a proper look! I've just been trying to resist flower stamp temptations while admiring this beauty over at F&F. I looked at this by chance doing a short little walk on the blogosphere (just commenting also at the Stamps&Stencil blog on a previous post from you, with two wonderful AJ page with clear tag gel over stencilled paintbrushes!!!). I can't stay any longer unfortunately today, but I hope I have the time soon to get a deeper look at your blog and wonderful art Sue!!!! 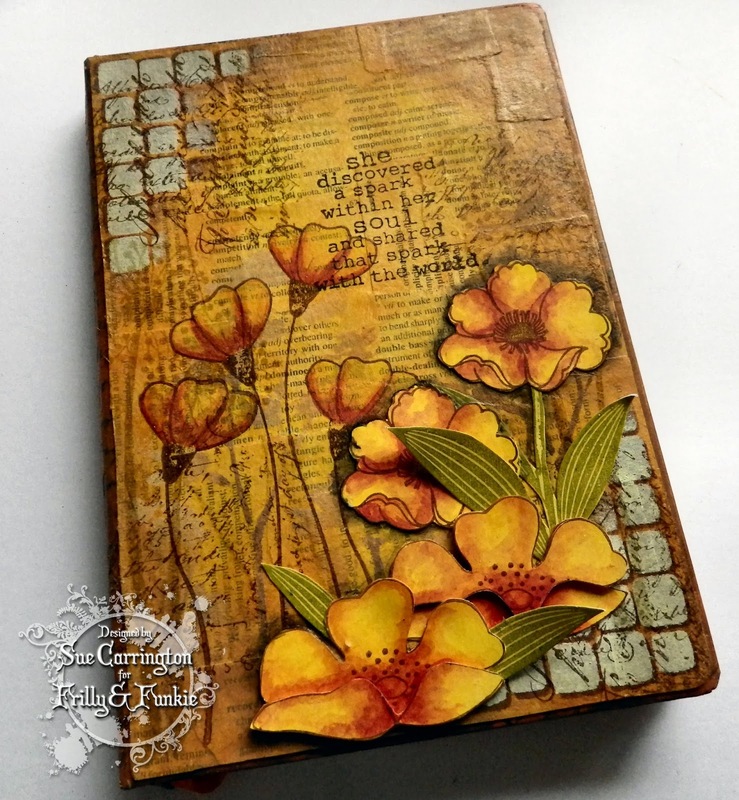 PaperArtsy JOFY new releases !